All New Zealand lawyers are required to act at all times in accordance with the Lawyers and Conveyancers Act (Lawyers: Conduct and Client Care) Rules 2008. These rules outline the obligations lawyers owe to you as a client. The obligations are subject to other overriding duties that a lawyer has, including their duty to the courts and to the justice system. The Rules are binding on all lawyers and provide guidance and boundaries for lawyers. Within these boundaries, each lawyer needs to be guided by his or her own sense of professional responsibility. 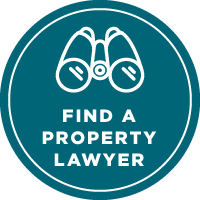 Property lawyers — members of the NZLS Property Law Section — are skilled professionals with the training and experience to help you with your property ownership. Sometimes, however, things can go wrong. If you have any concerns about the work your property lawyer is doing for you, put them in writing. You need to firstly send your comments to the lawyer or law firm you are dealing with. All lawyers must have procedures for handling complaints and must tell you about those procedures before they commence work for you. Check your information for clients and letter of engagement for the details on how to commence their internal complaints process. In the unlikely event that you want to make a complaint about a property lawyer, remember you need to raise your concerns directly with them first. If you still have concerns after you have followed their internal complaints process, the Complaints Service of the New Zealand Law Society can help you.